Have you been dreaming of a Maldives vacation? The sun and perfect white sand, the endless blue water and the resorts that look like picture perfect paradise? It’s a dream vacation for many beach lovers and the stuff of endless day dreams while you’re stuck at work staring at a computer screen. The Maldives are a series of 1190 tiny islands scattered across the Indian Ocean. Most of these islands are uninhabited, but a good many of them do have residents, or have resorts on them. 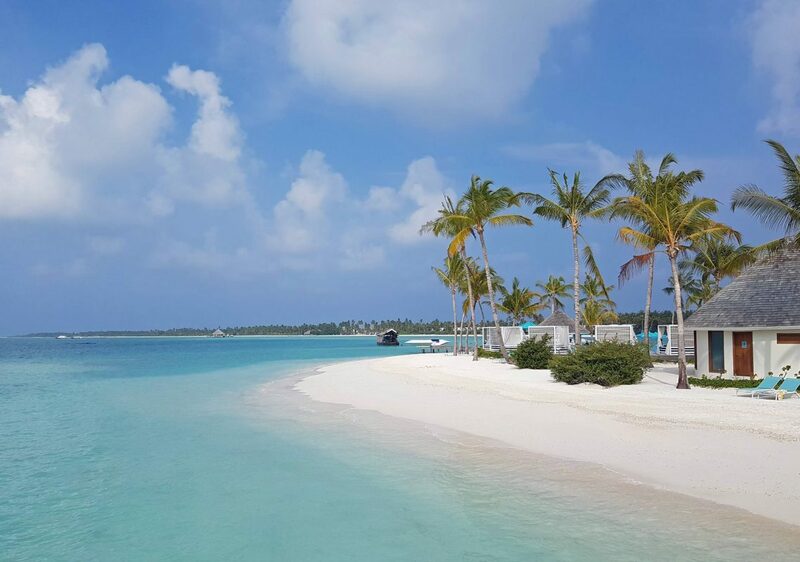 These tiny islands are called atolls and they are typically just big enough to house one resort, making the Maldives a very exclusive place to vacation. 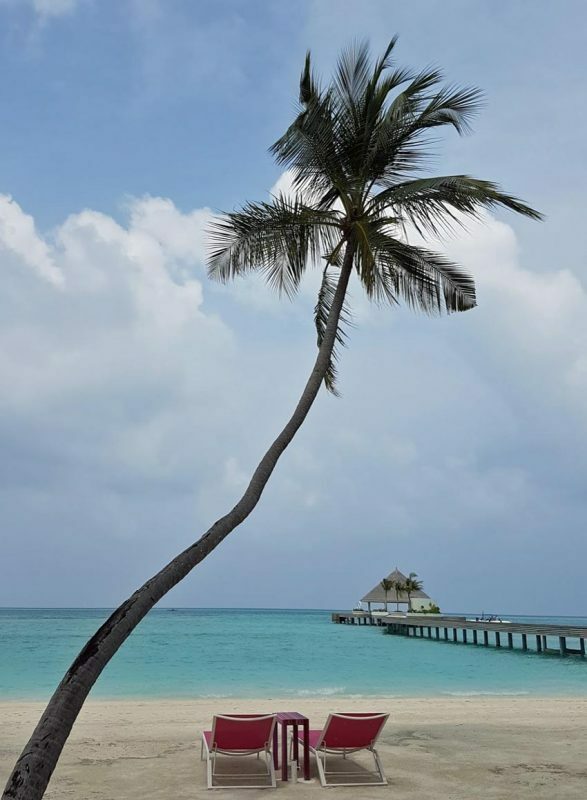 When planning a trip to the Maldives, you should take care to fully understand the seasons before booking, so you are sure to go when the weather is at its best. The best weather in the Maldives can be found between November and April. Of course, you also have to contend with the high tourist season during some of these months, as well. The high season is from December to March. If you want to avoid the crowds, we suggest going in November or April for slightly lower costs. 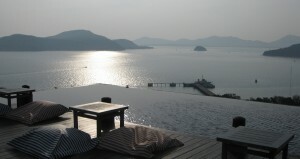 It’s also more difficult to book during high season, so you must plan far in advance to book the resort of your choice. The monsoon season runs from May to October, with peak rainy days in June. Since the Maldives is a beach destination, you can imagine there isn’t a lot to do at a resort when it’s pouring down rain, so we suggest avoiding the monsoon season, if possible. All visitors to the Maldives will fly through the capital city of Male. It isn’t typical that visitors stay on the main island, however. 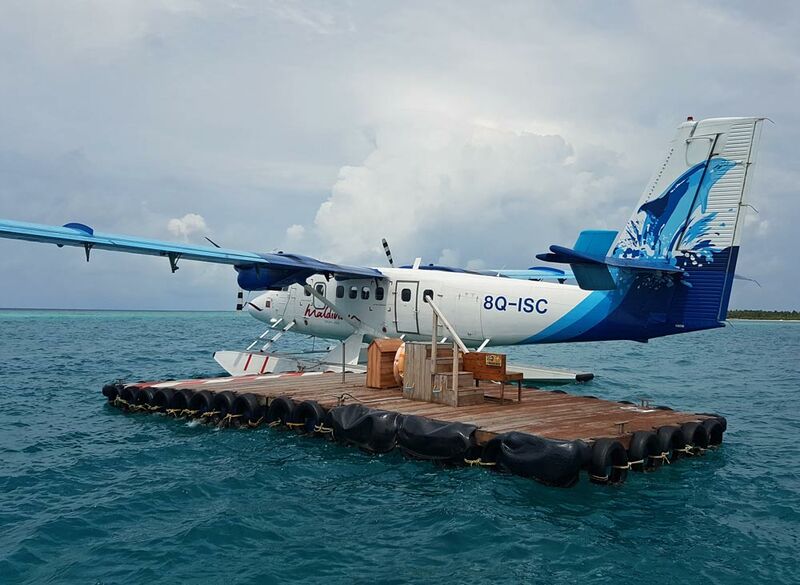 The resorts can be reached by charter flight and seaplane from the Male airport. As you can imagine, there are many choices for resorts. Where you choose will depend on the activities you want to take part in, the level of luxury, the price, the food, and many other minor choices you can make. Some resorts are all-inclusive, while others are a la carte. Some have overwater bungalows, while others have beach villas. Some are ultra-luxury, while others are budget. Consulting a travel agent may be the best way to find the right resort for you, as they have a good idea of what each resort has to offer. You can also have a look around the top resorts on Trip Advisor for some ideas. Being that the Maldives are a series of small, remote beach resorts, there is a limit to the range of things you can do, but there are endless water activities to explore. The Maldives offers some magnificent diving and snorkeling. Many of the resorts have incredible reefs to explore, with all types of colorful fish, sharks and rays. You can go paddle boarding, kayaking, rent a boat, go swimming, sunbathing, etc. Most resorts offer excursions by boat to local fishing village islands, or to do farther away activities like diving, but for the most part you will be staying on the island you choose, and eating your meals there as well. If you require other activities apart from water sports, make sure you check out their activity offerings before deciding to book there. Some resorts will offer things like cooking classes, yoga classes, spa treatments, and crafts. 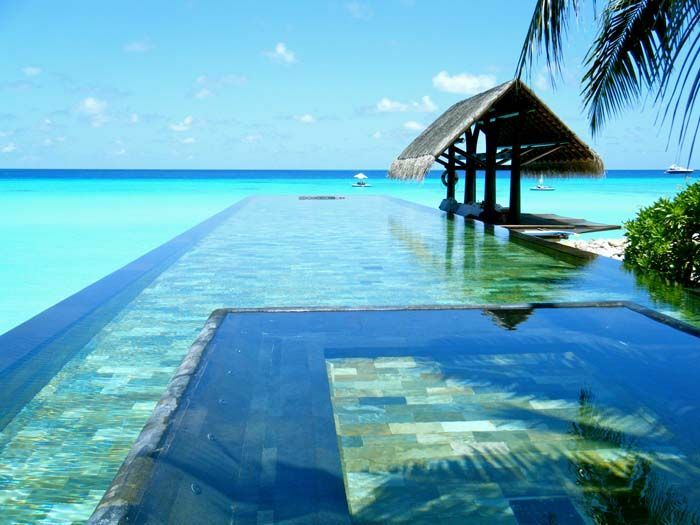 There are so many choices of where to stay in the Maldives. It really comes down to budget and personal preference. There’s no one-resort-fits-all choice. We tend toward the higher-end, affordable luxury experience. 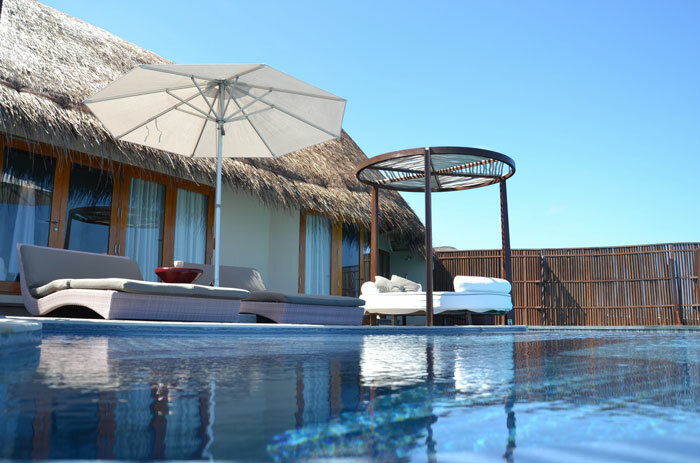 We highly recommend Kandima Maldives resort, where we stayed recently. We chose Kandima because it has a more laidback vibe than other, more luxury-focused islands, and it has a ton of food options, which is important to us. We found that it fit us, and the affordable luxury designation, very well. It wasn’t swarming with honeymooners or overrun by families with little children. It was peaceful and welcoming. The food was very good. They offer many different styles of accommodations to meet your requirements. Getting to a resort in the Maldives can be a bit of a challenge, but you rarely have to figure it out on your own. Most resorts have a system already set up to deliver guests to the resort. The biggest challenge is finding a resort that has a transportation fee that you can afford.. Islands that are closer to the main airport in Male will cost less than ones that are far away. If you can get a domestic flight to the island, it will also cost less than a seaplane ride. Be sure to check the details of the transfer fee whenever booking a resort. Rarely is the cost included in the daily rate of the resort. Instead, the transportation fee will be tacked on at the end. You will find the fee information in the small print at the end of a booking page. The fee can vary from $150 per person to over $1000 per person, so it’s very important to check it before you decide on a resort, as it can add considerable cost to your vacation. All international flights come into Malé International Airport – the only international airport in the Maldives. You will then catch a domestic flight or a seaplane ride to another airport or directly to the resort. Keep in mind that the domestic side of the Male airport doesn’t have many services for passengers while waiting, and sometimes the wait can be quite long. If you need drinks or food, be sure to get it at the international terminal before moving over to the domestic terminal. Sometimes waits at the domestic terminal can be quite long, due to ever fluxtuating schedules.